This vintage sterling silver snowflake pendant measures 3/4ths inches high and is a perfect accent for the coming seasons. It is suspended from an 18 inch long fine sterling chain. 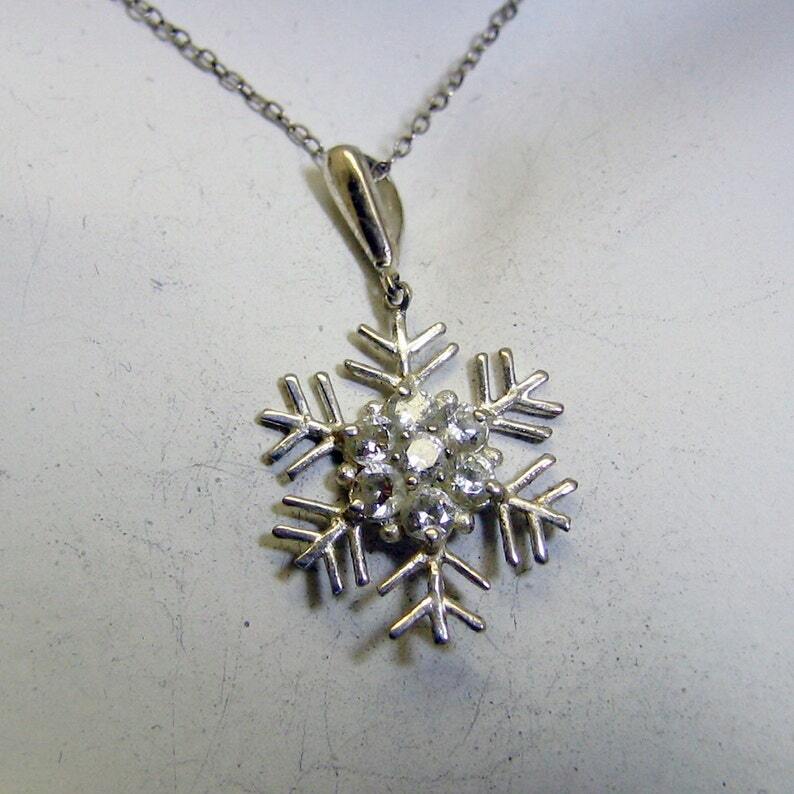 All pieces are marked 925 for sterling and the snowflake has a center of bright fiery rhinestones for sparkle. We will send this to you in a lovely gift box for easy gift giving.